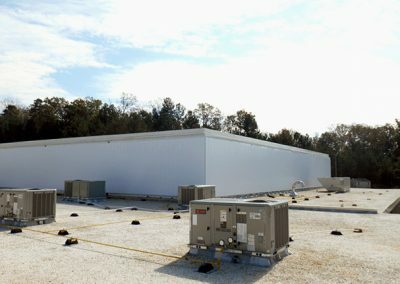 Initially, The School District of Pickens County contracted Raymond Engineering to evaluate the building envelope of the R.C. 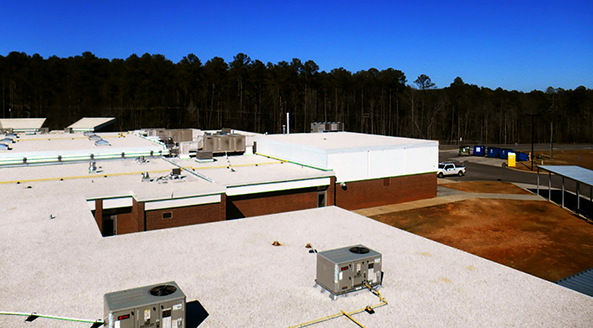 Edwards Middle School. 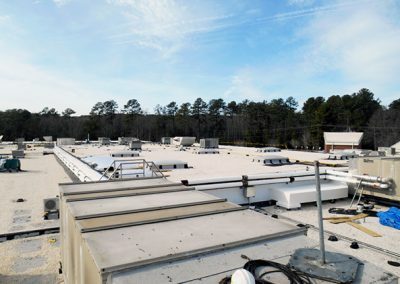 The Survey revealed several issues, including a dead level metal deck and the existing roof system was 28 years of age. Numerous cracks were also found in the stucco and masonry wall system above the roof line. At one change of elevation there were no through wall flashings. 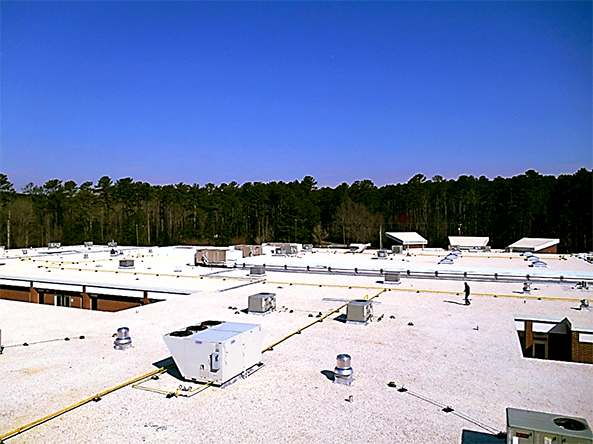 The School District of Pickens County decided they would replace the roof system and retained Raymond Engineering to assist with the Design, Construction Administration and Quality Assurance. 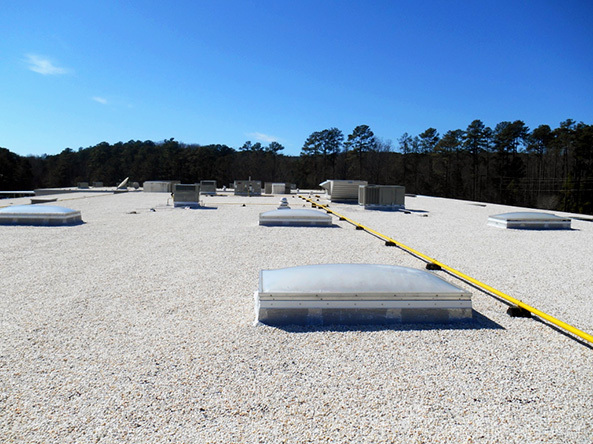 Raymond Engineering designed a new 4-ply roof system with tapered insulation, including a warranty for up to 20 years. 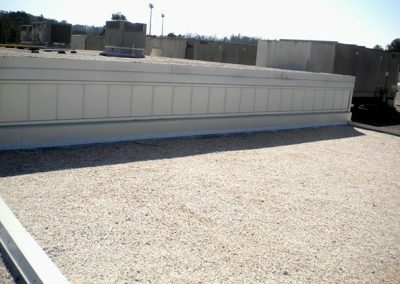 The Design also included a metal wall panel system on all walls above roof level and new roof-to-wall and roof-to-roof expansion joint covers. 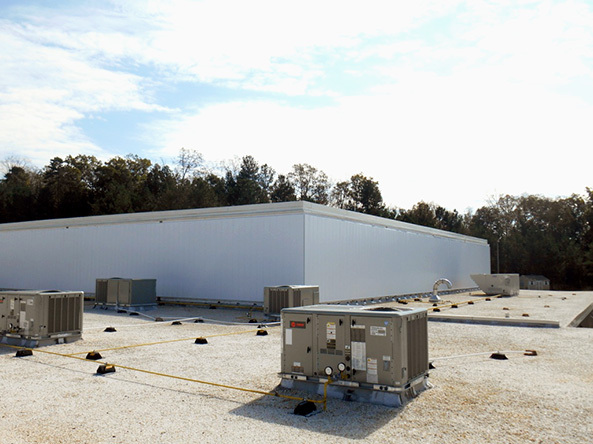 Appropriate measures were performed for remediation of the hazardous materials in accordance with OSHA standards and other governmental regulations. During the construction phase the though-wall flashing on the masonry wall section were found to be at roof level. 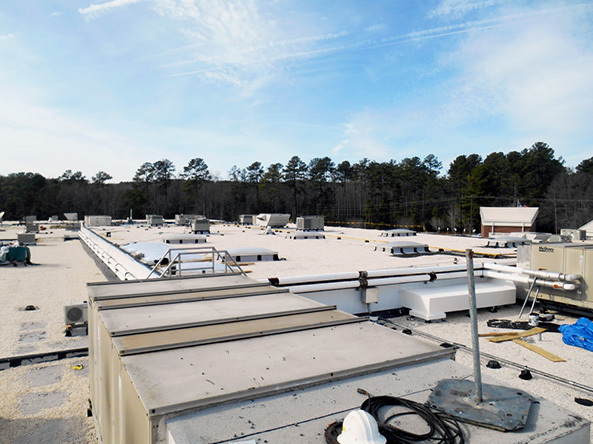 The contractor had difficulties staying on schedule and staffing the project. The Raymond Engineering Engineer promoted a positive relationship between the Contractor and Owner to reduce conflicts and recommended solutions for the Contractor to increase productivity and efficiency. 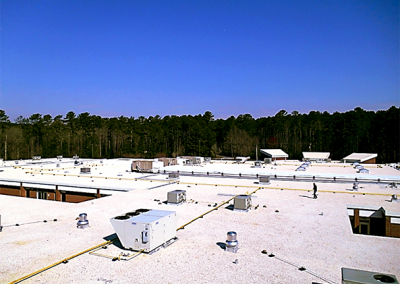 The Raymond Engineering Project Manager provided immediate response on design and/or installation issues to ensure problems were resolved expediently. 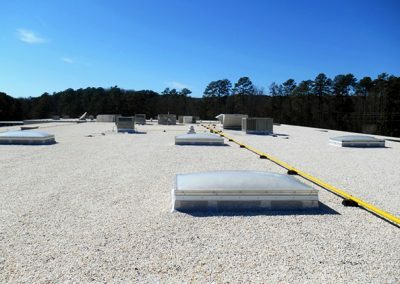 The added R-value in the roof insulation along with a white gravel aggregate surfacing will reduce the cost of future utilities bills for the Owner.